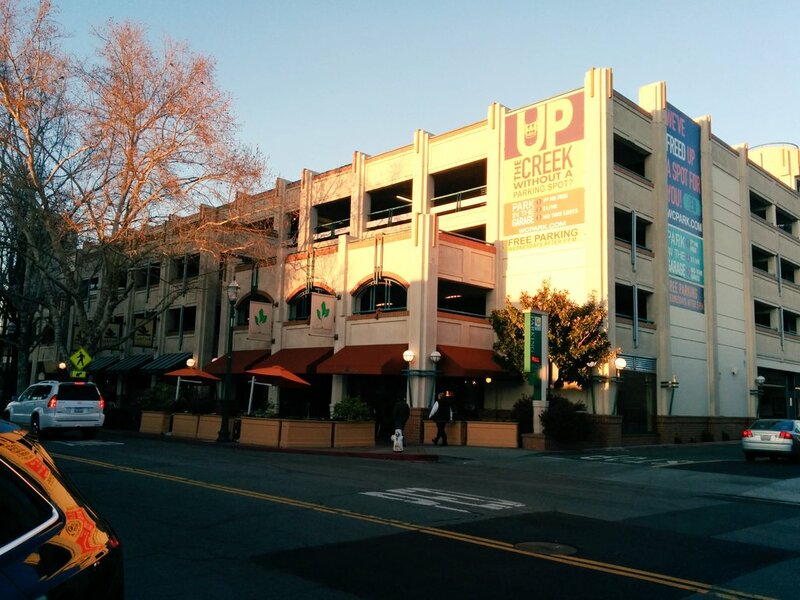 Parking is always a hot-button issue in any urban core, and Stockton is no exception. This debate is usually centered on the availability of parking, i.e. whether or not there is enough parking, if parking is priced correctly, etc. In Downtown Stockton, there’s no shortage of these conversations. Some believe that parking should be free and that meters should be removed. A consultant suggested last year that the city allow for one-hour free in city owned structures. I’ve advocated a few times here at SCL for parking priced accurately to meet demand. These are very important topics as we consider the best way to revitalize Downtown Stockton. But what is often lost in the debate about parking prices and availability is an equally important questions: what should parking look like? In the best urban cores, parking is available but not readily visible. 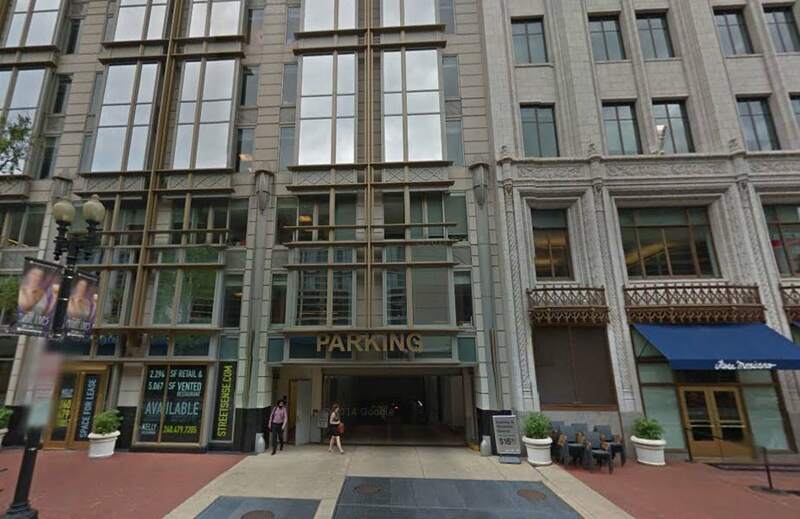 Parking structures are often hidden, either hosted underground, wrapped by other uses (such as residential or office space), or designed in a way that the structure is not imposing on the street. The best parking structures blend in with the built environment. But Stockton’s downtown parking lots are dominant, hulking, and downright atrocious. Take the Stockton Arena parking garage, for example. I once named this structure as one of the five worst buildings in Stockton because of its imposing, drab, street life-killing nature. Ideally, this structure would be at least partially shielded from street view, but instead this garage is prominently displayed along Fremont Street. Due to its sheer size and poor location on this highly traveled corridor, the Arena garage effectively stymies any chance at activating that street. And before you say that I’m wrong because there technically is ground floor retail, please consider how that this retail has stayed completely vacant for the life of the building, and there’s a reason for that. Unfortunately, it’s incredibly poorly designed retail space, mostly tucked under the building and hidden from street view behind cement pillars. This is the exact opposite of what you want for prime frontage retail or commercial. It’s almost as if the architects were trying to repel potential tenants. While not quite as offensive as the Arena Garage, the Ed Coy Garage is still a poor example of parking garage design. The Ed Coy garage is another example of really bad urban design. 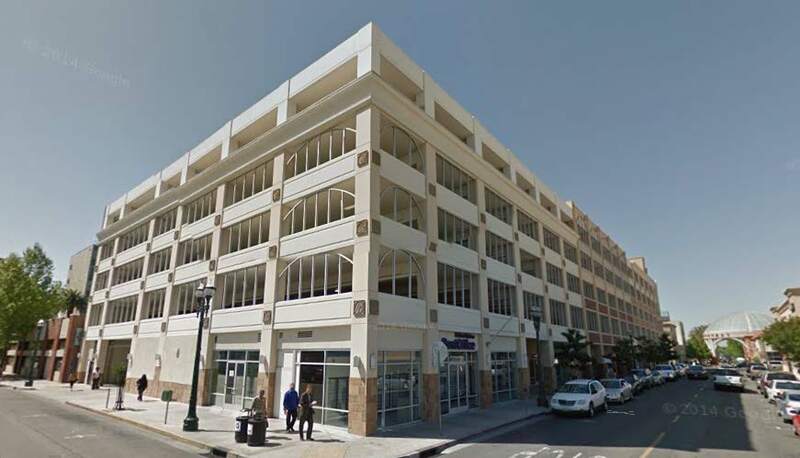 While Channel Street is not a main downtown thoroughfare, it certainly didn’t deserve to have an entire colossal parking structure as its main attraction. Though there is occupied commercial space at the bottom (in the form of a PG&E service center and a Post Office—hardly prime tenants if you’re goal is to create a lively downtown), it’s tucked under the structure, much like the Arena Garage, resulting in an uninspiring streetscape. The result is a cold (literally, because the six story box structure blocks the sun), callous walk between Hunter Street and San Joaquin Street (though the Ed Coy is a slight step up from the Channel Street garage between San Joaquin and Sutter, which has the added bonus of no street-level activity whatsoever). This is a garage in Oakland that incorporates design elements that are not over bearing. While there’s no street level component, the design is still much more aesthetically pleasing for passersby. 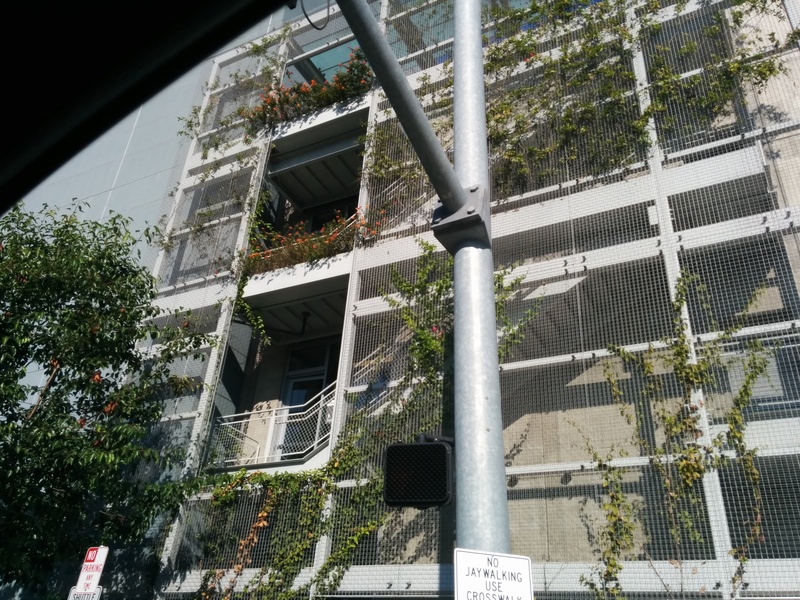 Another Oakland example using foliage to soften the impact of a parking garage. Here’s an example from Washington, DC. Here, parking is barely noticeable from the street and allows for a completely active corridor. 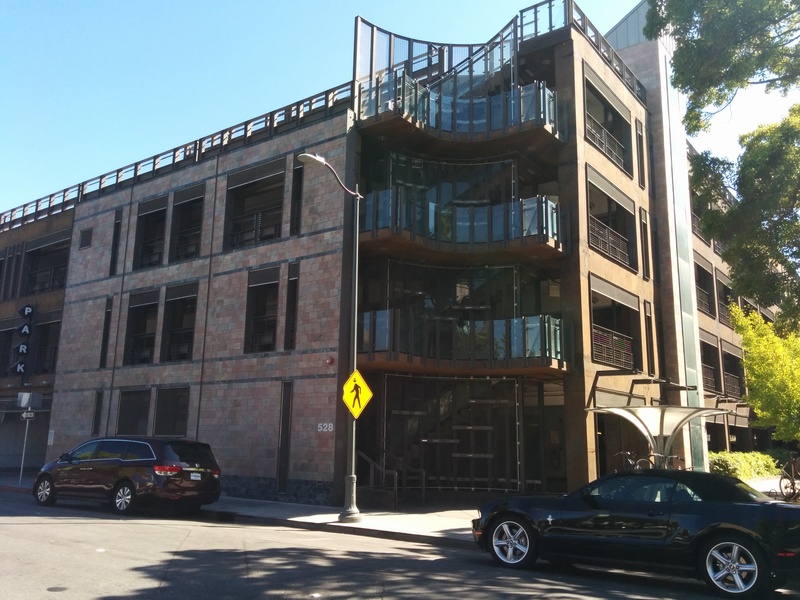 In Walnut Creek, this garage allows retail tenants to protrude into the street, hiding the garage for the most part and preserving street connectivity. In these instances, the parking garage is not the star. Instead of imposing onto the street and discouraging pedestrian activity, these examples show how to blend parking with ground floor uses that are actually desirable, or at least make the structure interesting rather than brooding. 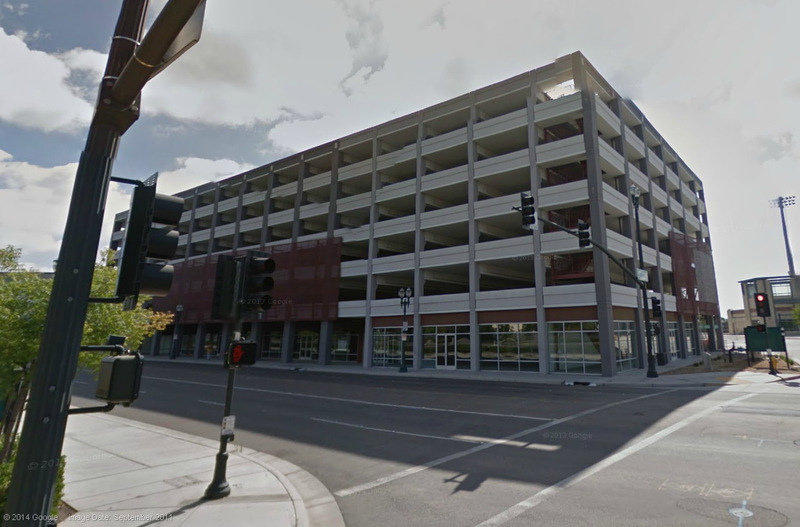 Parking garages are a necessity, especially in a place like Stockton where car free living is difficult. But that doesn’t mean that these structures have to be so poorly designed. Stockton has such a unique and historic downtown that we shouldn’t settle for parking garages that detract from that character and deactivate entire blocks. While, the parking structures we have aren’t going anywhere, let’s raise the bar for the design of garages in the future.